MANILA, Philippines — More than a hundred civil society organizations have slammed the government of Laos for its “failure to independently, impartially, effectively, and transparently investigate” the enforced disappearance of Sombath Somphone, a social activist who worked to promote sustainable development for the rural poor, and return him to his family. “The Lao government’s continued silence and obfuscation of the facts around Sombath’s enforced disappearance have subjected his family to five years of fear and uncertainty over his fate and whereabouts, which remain unknown to this day,” the groups said in a statement released Saturday, December 16. Sombath, a 2005 recipient of the Ramon Magsaysay Award, often called “Asia’s Nobel Prize,” disappeared the night of December 15, 2012. Early this week, a United Nations human rights official also accused Laos of showing “no political will to solve” the disappearance of Sombath. Laurent Meillan of the U.N. Office of the High Commissioner for Human Rights said the abduction had created “a culture of fear” among workers of non-government organizations in Laos, one of Southeast Asia’s poorest countries. “We are not aware of any progress since the government’s commitment at the U.N. Human Rights Council,” Meillan told a news conference in Bangkok, referring to an assurance by Laos to bring the perpetrators of the crime to justice. The U.N. and International Commission of Jurists said Laotian police refused to view new footage of the abduction of Sombath. Human Rights Watch said Laos’ human rights record had grown worse since Sombath’s disappearance. 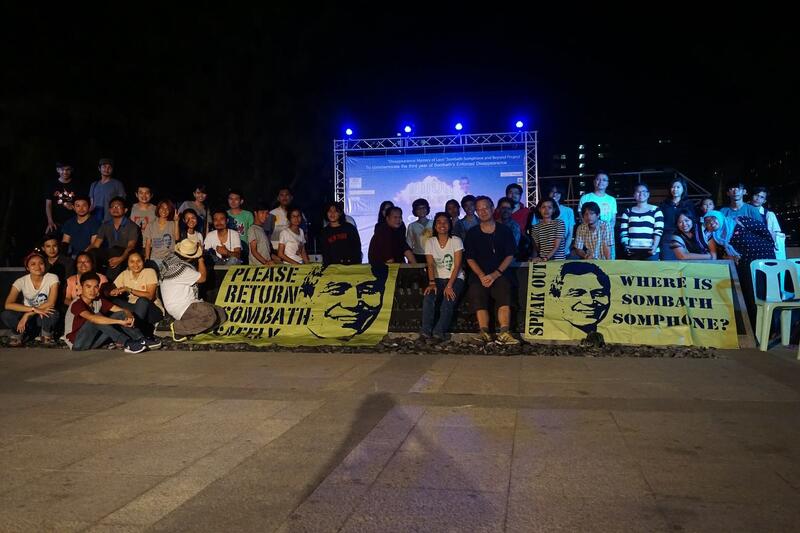 Read the statement of the 122 organizations on the 5th anniversary of Sombath’s disappearance.